Expedited LTL Freight Shipping Services - Over 26 Years! Hot Line Freight Systems believes in building solid long-term relationships with our customers by providing exceptional expedited LTL freight services that exceeds expectations. We pride ourselves in maintaining a satisfactory DOT rating, providing excellent preventative maintenance and driver safety programs while being reliable and efficient. 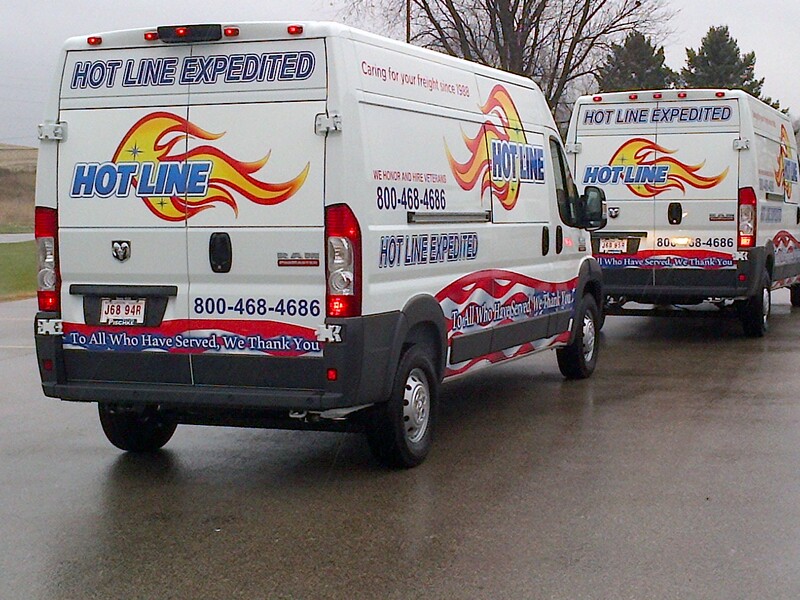 Hot Line operates 17 terminals with 250 employees, 100 late model tractors, and 200 – 53′ air ride logistic trailers. Our 53-foot air ride vans are fully equipped with Logistics Technology to assure every shipment moves damage free. Contact Us for Any Size Shipment! Hot Line Freight Systems has been caring for freight since 1988 with our expedited LTL (less-than-load) freight shipping services. We realize your freight being delivered quickly and on-time is critical to meet your company demands and goals. Not all expedited LTL freight companies are the same. We offer Nationwide Volume LTL direct shipments to ALL POINTS in the contiguous United States including our Express Hot Shot Service, which is a guaranteed service available 24 hours a day, 7 days/week anywhere within the 48 contiguous states. Get an online expedited LTL freight quote today with our handy online form or contact us by phone or email. It may be our speed and efficiency that gets your attention, but it’s our attention to details and awesome employees based next door to La Crosse Wisconsin who will be providing you with the customer service that will bring you back for more. Expand your business to the next level with a Hot Line Freight partnership – Caring For Your Freight Since 1988 with excellent service, competitive pricing and flexibility!